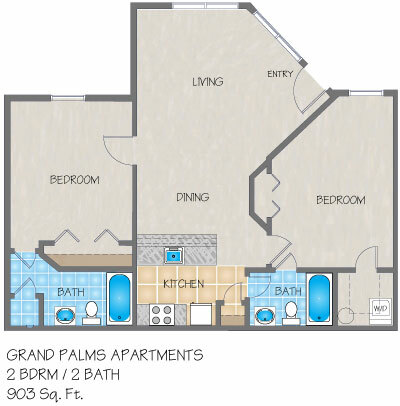 Please send me more information about Grand Palms Apartments. 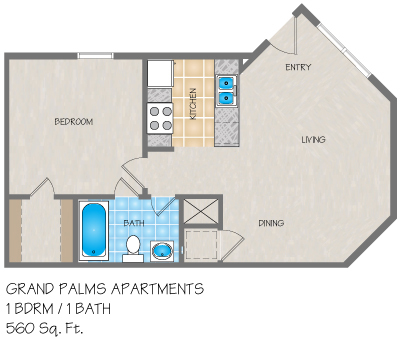 At Grand Palms you will love our gated, Mandeville, LA apartment community! If you're looking for something out of the ordinary on the Northshore, this is the place for you. 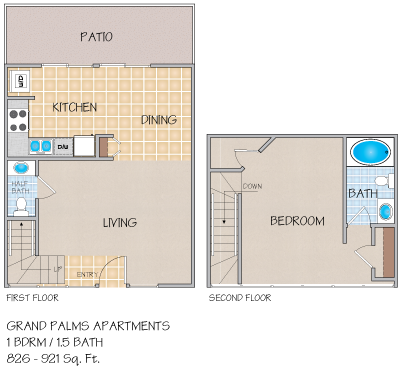 Grand Palms has spacious floor plans utilizing optimum living space with full size washers and dryers in all apartment homes. Floor to ceiling windows, massive closets, modernized and standard finished cabinetry make Grand Palms one of a kind. If loft style or single story villas is what you are interested in, ask to get on our waitlist for these rarely available options. Our Northshore location is outstanding near Interstate-12 and the Causeway Toll Plaza making this community just 30 minutes from Metairie and Downtown New Orleans. Offering a very unique community design, Grand Palms boasts two resort style swimming pools, a playground, and covered picnic cabana with grilling areas. 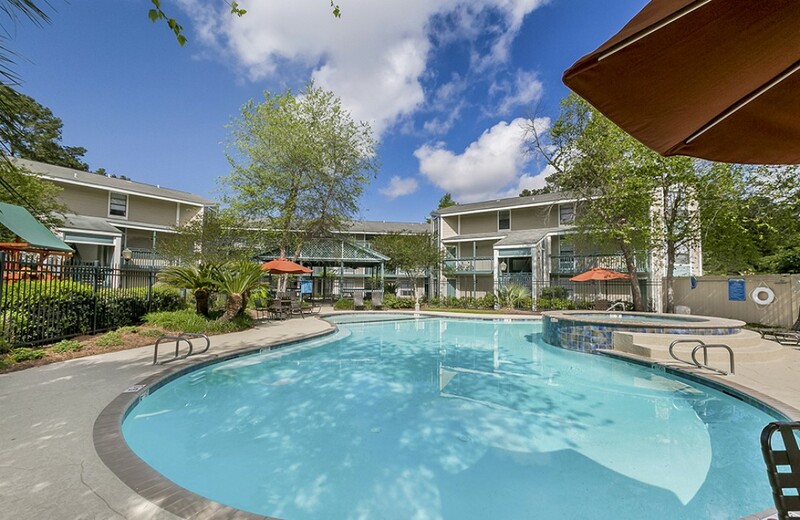 Our on site management team and property amenities make this apartment community the best value in Mandeville. 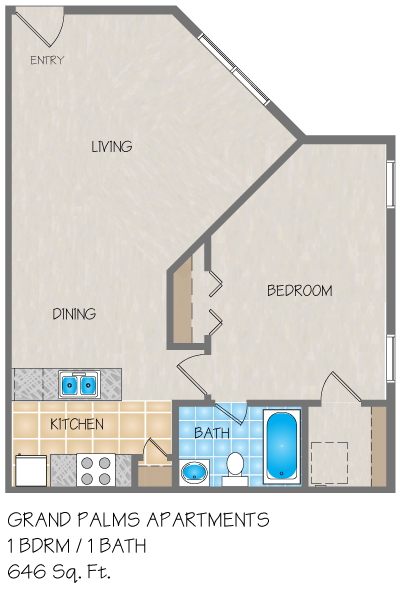 INQUIRE ABOUT FURNISHED AND/OR CORPORATE APARTMENTS! 1 Pet (total maximum weight 40 pounds full grown): $500 deposit of which $300 is non-refundable with no monthly fee. 2 Pets (Maximum total weight, of both pets combined, 40 pounds full grown): $600 deposit of which $400 is non-refundable with no monthly fee. I've been living at the Grand Palms for 1.5 years. I signing my second lease tomorrow to stay for another 1.5 years. When I first moved in the management was honestly, sub-par. Repairs were shotty and response times were slow. Recently, Natalie and Monchell have taken over the property. They have made big changes already. I reported a repair on Tuesday, by the end of the day the initial repair was done and a ticket was left on my kitchen table letting me know a maintenance member had been in my home. (That NEVER happened before!) On Wednesday, I called to inform office that when I first moved in a repair had been made but a "bandaid" had been placed and I wanted to let them know that it needed to be done again, Monchell let me know she would absolutely pass my message on. Much to my surprise, Natalie, called me that same day to let me know that under no circumstances would they be taking any short cuts, that the repair would be made and parts had been ordered to render a permanent fix! (SERIOUSLY! SOOOO EXCITED!) The very next day, Natalie called me again to let me know that the final repairs had been done and that painters had been called out as well to repair aesthetic damages from leak! Both, Natalie and Monchell are professional and very pleasant to deal with. I'm happy to call Grand Palms my home and I'm looking forward to all the fun activities they have planned for residents in the near future! Thanks ladies!! I've been living at the Grand Palms for 1.5 years. I signing my second lease tomorrow to stay for another 1.5years. When I first moved in the management was honestly, sub-par. Repairs were shotty and response times were slow. Recently, Natalie and Monchell have taken over the property. They have made big changes already. I reported a repair on Tuesday, by the end of the day the initial repair was done and a ticket was left on my kitchen table letting me know a maintenance member had been in my home. (That NEVER happened before!) On Wednesday, I called to inform office that when I first moved in a repair had been made but a "bandaid" had been placed and I wanted to let them know that it needed to be done again, Monchell let me know she would absolutely pass my message on. Much to my surprise, Natalie, called me that same day to let me know that under no circumstances would they be taking any short cuts, that the repair would be made and parts had been ordered to render a permanent fix! (SERIOUSLY! SOOOO EXCITED!) The very next day, Natalie called me again to let me know that the final repairs had been done and that painters had been called out as well to repair aesthetic damages from leak! Both, Natalie and Monchell are professional and very pleasant to deal with. I'm happy to call Grand Palms my home and I'm looking forward to all the fun activities they have planned for residents in the near future! Thanks ladies!! Grand Palms I've been living at the Grand Palms for 1.5 years. I signing my second lease tomorrow to stay for another 1.5 years. When I first moved in the management was honestly, sub-par. Repairs were shotty and response times were slow. Recently, Natalie and Monchell have taken over the property. They have made big changes already. I reported a repair on Tuesday, by the end of the day the initial repair was done and a ticket was left on my kitchen table letting me know a maintenance member had been in my home. (That NEVER happened before!) On Wednesday, I called to inform office that when I first moved in a repair had been made but a "bandaid" had been placed and I wanted to let them know that it needed to be done again, Monchell let me know she would absolutely pass my message on. Much to my surprise, Natalie, called me that same day to let me know that under no circumstances would they be taking any short cuts, that the repair would be made and parts had been ordered to render a permanent fix! (SERIOUSLY! SOOOO EXCITED!) The very next day, Natalie called me again to let me know that the final repairs had been done and that painters had been called out as well to repair aesthetic damages from leak! Both, Natalie and Monchell are professional and very pleasant to deal with. I'm happy to call Grand Palms my home and I'm looking forward to all the fun activities they have planned for residents in the near future! Thanks ladies!! Living here has been a blast! Beautiful neighborhood, everyone in the leasing office is so nice and helpful. Would definitely recommend! Good place to live. I had no problems with them at all. I love living here. I moved here in January and we did NOT have to clean anything before moving in, that is saying a lot! The pools are clean and the grounds are well taken care of. I choose this apartment for the warm and welcome feeling I received just walking into the apartment. 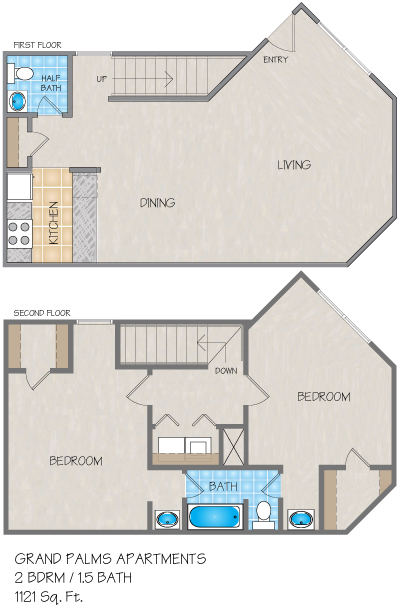 There is not so many rules as other apartments in the area.